We almost didn’t get there. I put off our reservation because the weather forecast was all rain–then the sun shone every day. We were finally scheduled to visit the island nature reserve two days before leaving the area–and our trip was cancelled to make some repairs to the boat. We rescheduled for the next day, before we were to fly to the South Island, and got on the last boat of the day (10 am) to Kapiti Island, one of the largest island reserves in New Zealand open to the public. On this island there are no mammals, all the invasive rats, possums, sheep, goats, and horses were removed between 1897, when it first became a park, and 1998, when the last possums were finally eradicated. We boarded the boat after it was towed up onto the beach with a tractor. All loaded on land, the tractor towed us back into the water and we floated away. A new experience. We board and the tractor launches us. The absence of land mammals is crucial to survival of native New Zealand species like the little spotted kiwi that was moved to Kapiti and now is found nowhere else, and myriad bird species, along with reptiles. The native species only know how to hide by holding still and blending in, to hide from owls and hawks. Many build nests in holes in the ground or bushes. They are easy prey for any land animal that can sniff them out. 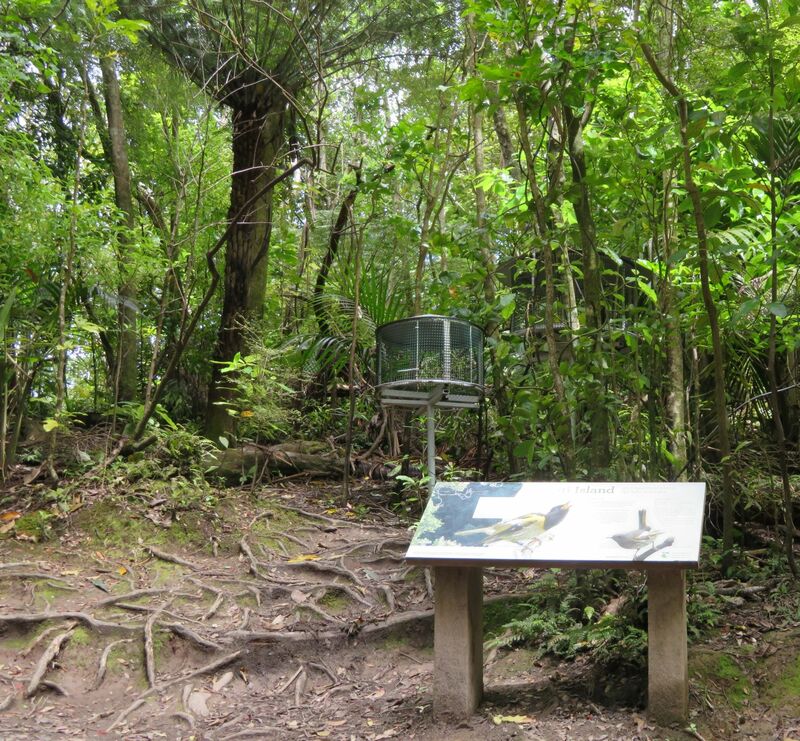 Birdsong was all around us when we got to Kapiti. After an orientation by a guide very knowledgeable about the range of birds, we were set loose. 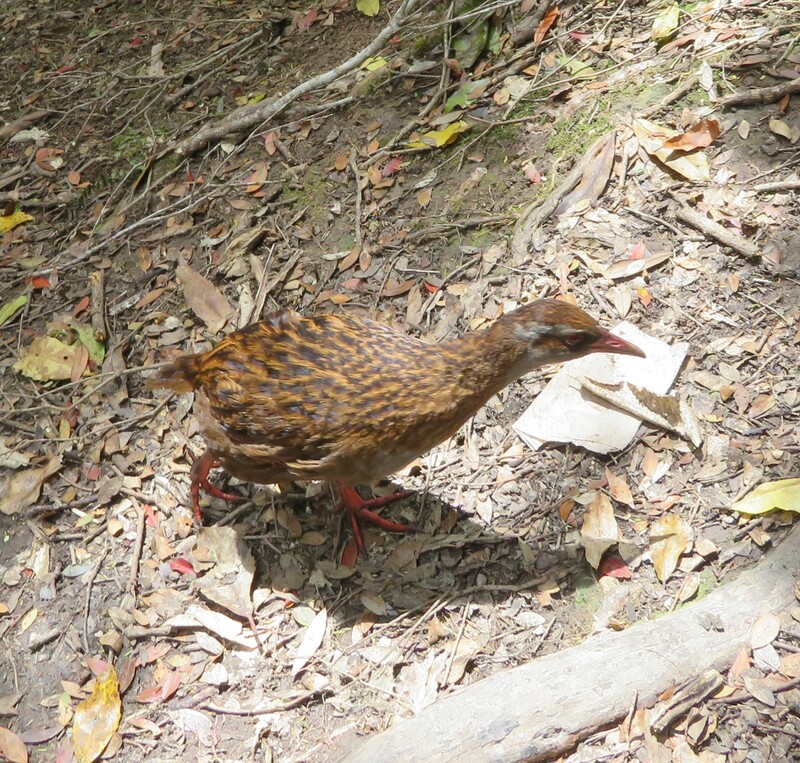 The sounds were unfamiliar and delightful, and we saw unusual birds before the orientation even ended when a weka wandered across the deck and peeked into the meeting room. By the time we staggered into the tiny clearing with the two nectar feeders, we were about to collapse. Imagining the return trip made it even worse. We’d climbed most of the 1500 feet. The latter two-thirds of the trip to the top appears to be walking the relatively level upper spine of the island. We’d inadvertently done just what we had planned not to! Arriving at sea level with about an hour left before our return trip, we strolled the paths through wetlands and along the shore. We heard a slight noise behind us and turned around to find one of the other rare birds, the takahe, a giant red-nosed chicken. Not a chicken at all, it is a flightless bird native to New Zealand that looks like an overgrown version of a purple gallinule. Takahe are rare, and we thought we would not see one, yet there it was. It bobbed in and out of the trees beside the trail, a happy surprise. 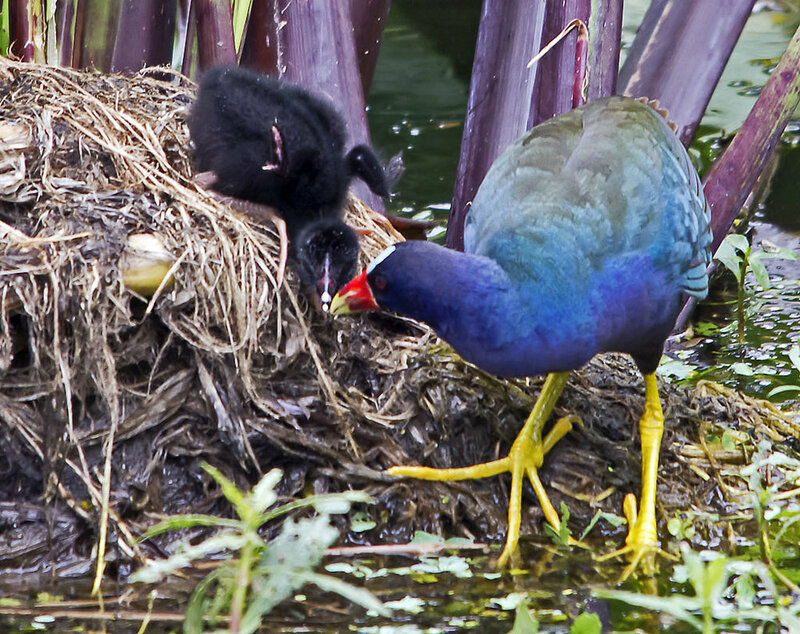 When we first saw a purple gallinule in Europe, we were amazed. So purple! 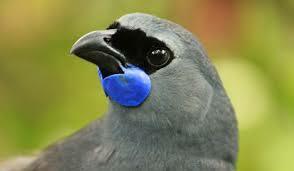 So red-beaked! In New Zealand, purple gallinules roam farm fields like stray poultry. We even saw one crossing the road with two fuzzy black chicks. We are having a lot of fun with birds, and good fortune, too. Part of this is because we are here during nesting season. We’ve seen brown-speckled blue eggs in the nests of black-backed gulls, and watched a pair of chicks of the endangered New Zealand dotterel follow their mother along the shore. Dotterell nests on public beaches are carefully fenced off and very clearly visible. Seeing the chicks was a bonus. We ended up bobbing up and down on the water for a half hour waiting for the final two passengers to turn up. Though the guide says that this is rare, it seems unsurprising that twenty or more people let loose on the island and told to return at a specific time would always result in a couple of latecomers. 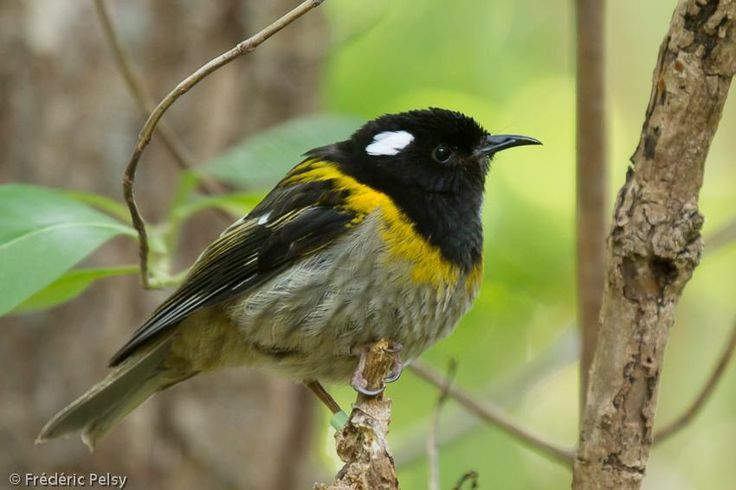 With no pressing duties, we chatted with a Dutch woman who had also enjoyed the birds, and a young man and his mother who spotted the super-elusive kokako and heard its mournful call. The lost couple turned up and we sailed away. 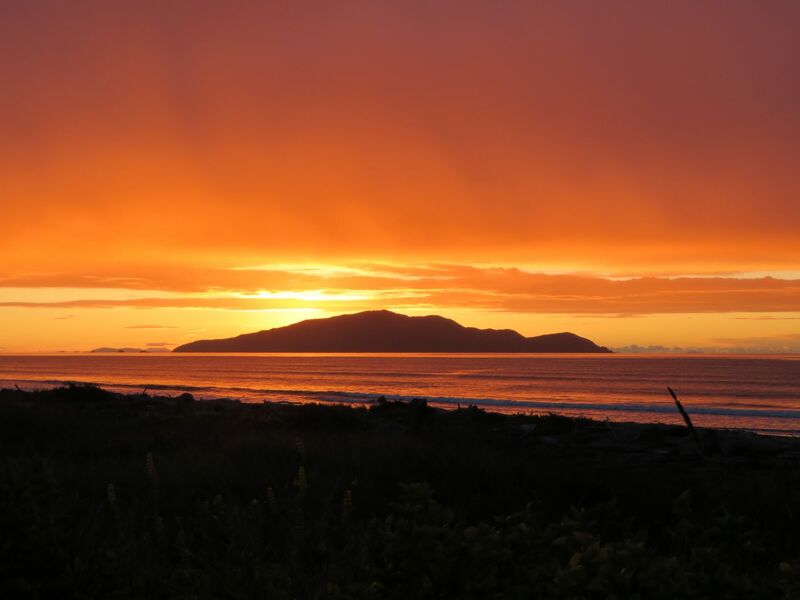 We can see Kapiti Island from our backyard in Te Horo beach, making our final night’s sunset more memorable than ever. 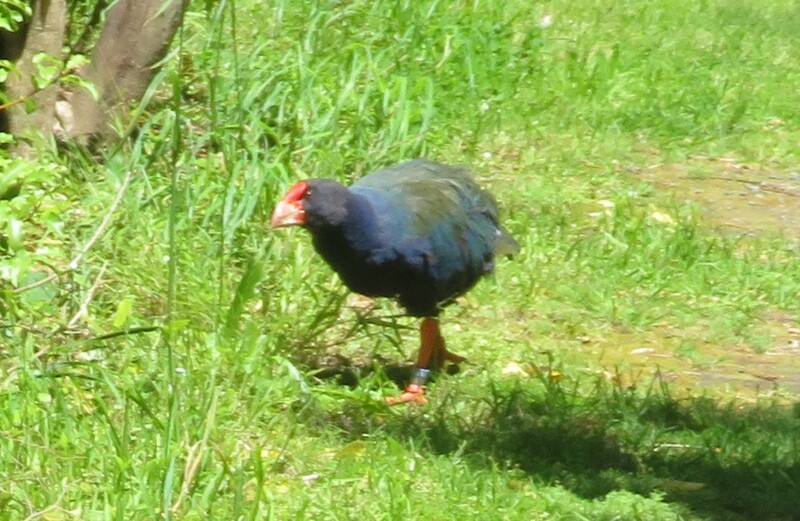 NB: Only two of the bird photos are pictures I took (takahe and weka). The others are courtesy of people who post bird photos on the internet. Thank you to all of them! The boatman made the quip as we left, “Tell them this year summer came on Monday!” That’s because the weather is never forecast to be as fine as it was on our trip out to Great Blasket Island last Monday. The sun shone all day long. 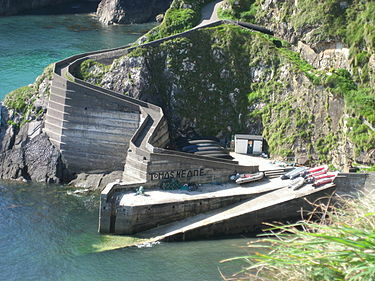 The boat ride from Dunquin to Great Blasket was smooth and the 35 passengers smiled and chatted all the way. 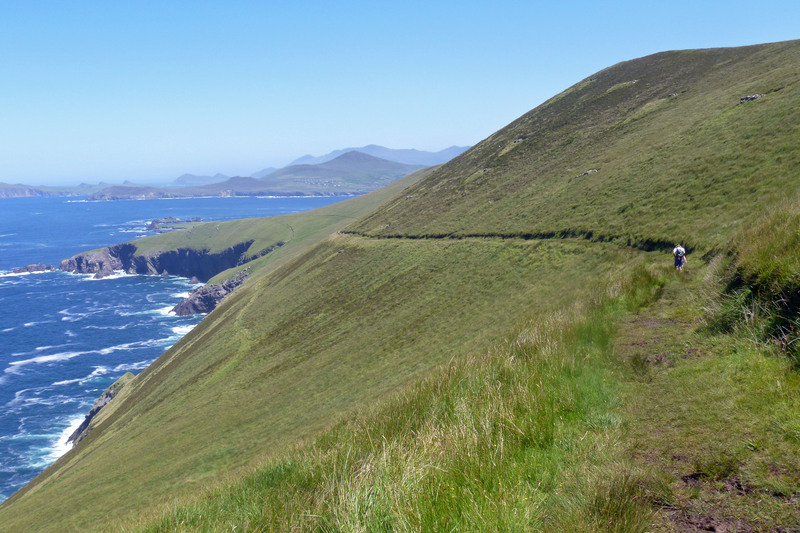 Great Blasket Island was an independent community lived there from early in the 19th century until Nov. 17, 1953. They were completely Irish speaking, cut off from the mainland as they were. The distance is short, but the water can be rough, and boats were the traditional naomhog, or currach, rowboats framed of wood and covered with tarred cloth. 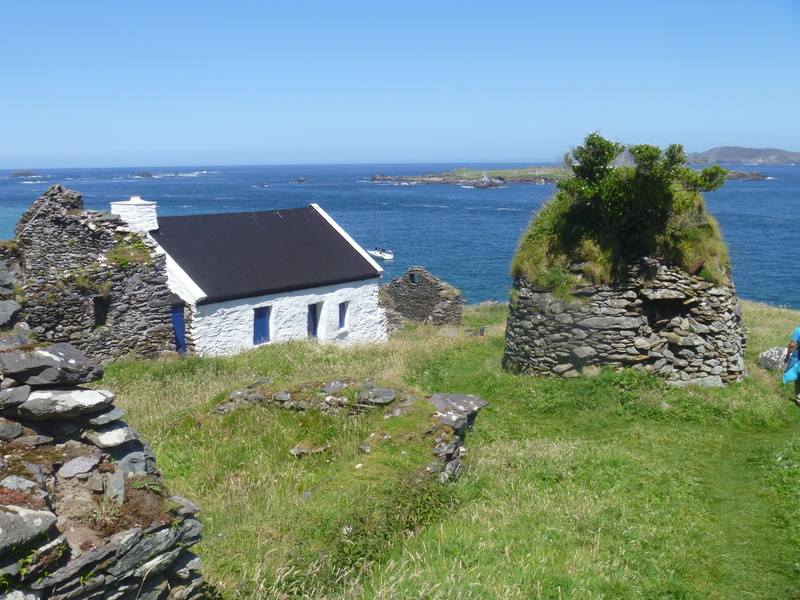 As the Irish language fell into disuse in the 19th century, linguists and writers discovered the community on Great Blasket and visited to study the language or expand their proficiency. Visitors such as the poet Robin Flower encouraged the islanders to write about their lives and several did just that. The strong tradition of storytelling among people who have to entertain themselves on long winter evenings seems to have eased the transition to writing stories in a book. Best known are: An tOileánach (The Islandman) by Tomás Ó Criomhthain, Peig by Peig Sayers and Fiche Blian ag Fás (Twenty Years A-Growing) by Muiris Ó Súilleabháin. The remains of each author’s house is marked on the visitors map. Most houses lie in ruins today, though one was being renovated during our visit. That’s puzzling because there’s only seasonal ferry service, no central water source, no electricity, no store, all part of the reason the island was evacuated years ago. We looked at the ruined community and hiked up the spine of the island. At the peak of the island, I could see the faint outline of the Skellig Islands on the horizon to the south.